Nepal was hard hit by earthquake in the year 2015. The devastating disaster took almost ten thousand lives. It was the very moment CEO Madindra Aryal decided to do something for the community and the entire nation. When a huge earthquake hit his hometown in Nepal in 2015, Madindra Aryal and his family had to stay in tents without electricity. He and his neighbors lived in complete darkness at night, and they could not charge their cellphones, which meant they were unable to contact worried family members. 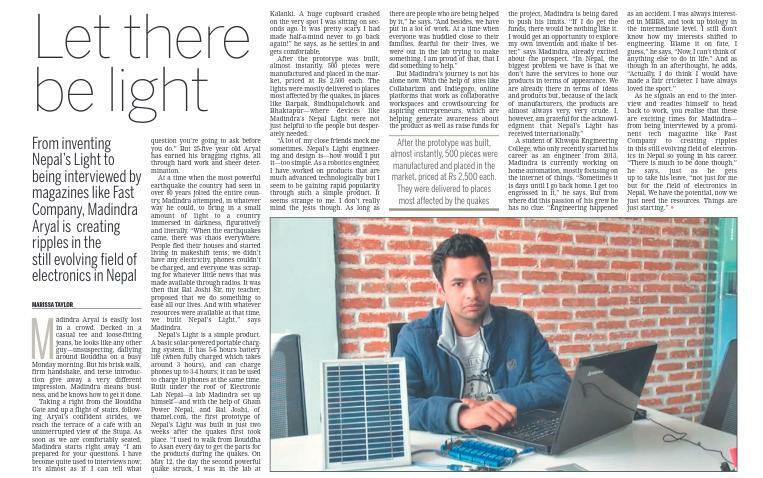 From that experience, Mr. Aryal, a 26-year-old electronics engineer, came up with an idea: Why not try to produce a solar-powered cellphone charger, one that would be inexpensive enough that Nepalese villagers could afford it? Following the massive earthquake in Nepal last year, engineer Madindra Aryal wanted to help people who’d seen their homes destroyed. 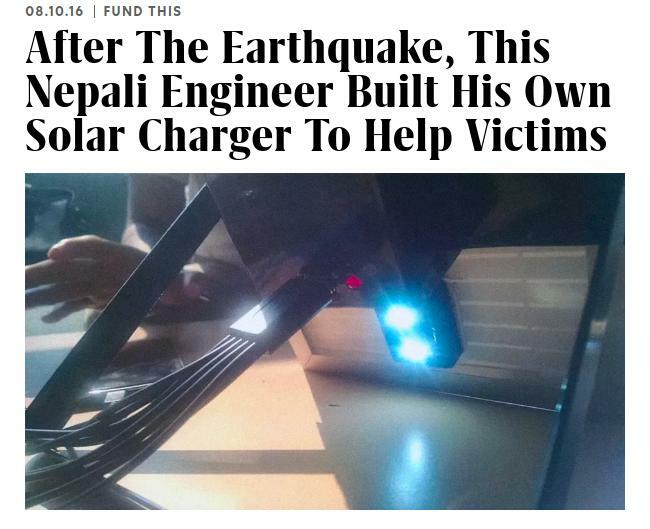 His idea: a portable solar panel that provides enough power to run two LED lights, a phone charger, and a small battery. We are always wide open to reach out to different communities and provide the best possible service from our side. Please write to us if you can become one of partner in terms of the service that we provide or any opportunities that we can explore together. © 2019 Electronic Lab Nepal. All Rights Reserved.